Our skin is bound to experience moisture loss, dry skin and damage. This can be caused by daily exposure to environmental factors. This is caused by daily exposure to environmental factors. In Malaysia, with the bright sunny weather all year round, we experience dull and dry skin due to overexposure to the sun and this causes discomfort to us when our skin appears toned, dry and unhealthy. When skin is visibly dull and appears dry, there is indication of an underlying problem and it tell us that our skin's protective barrier is not functioning properly. The haze weather also can caused our skin dry and unhealthy. 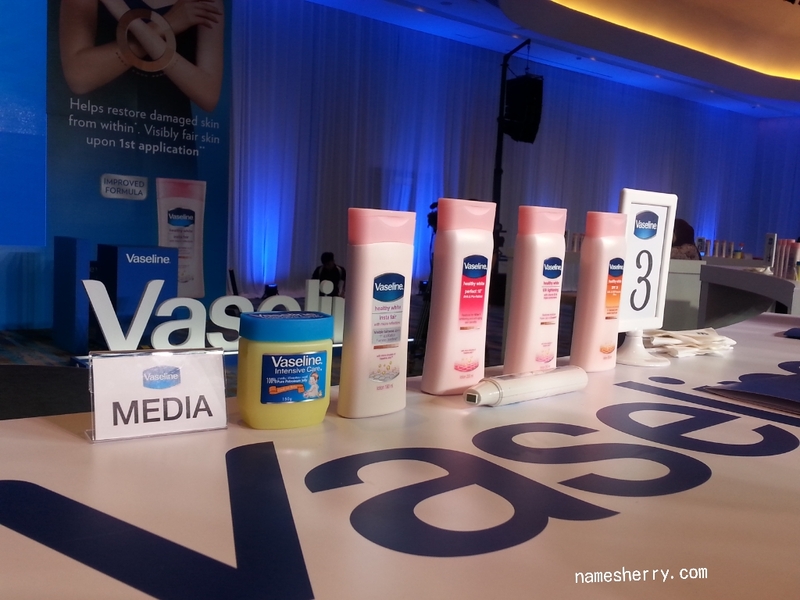 Vaseline's believes that truly healthy skin starts with moisturizing from deep within. With Vaseline's rich heritage of the original Vaseline Jelly also known as the "wonder jelly" that locks in moisture, Vaseline is now launching the new and innovative Vaseline lotion range that has micro droplets of Vaseline Jelly to help restore from deep within. The new Vaseline lotion range of products with micro droplets of Vaseline Jelly is non-sticky formula that can wonders for the skin. Vaseline's history stems from 145 years ago with Sir Robert Cheesebrough's determination and passion for understanding the function of the triple-purified Vaseline jelly and the wonders it did on skin. The new Vaseline lotion range is a solution for women who want healthy and moisturized skin that is also restored from within. 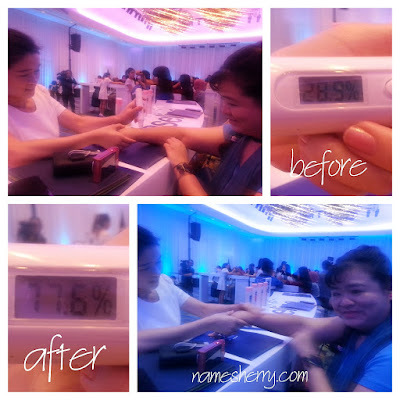 Check on skin moisture level before applying the Insta Fair, then check skin moisture level after applying. I also have chance to experience on knowing my skin's moisture level. Before trying the Vaseline lotion, my skin is 28.9%. After applying on my right hand, then check on the level of my moisture increase becomes 77.6%. The micro droplets of Vaseline Jelly are available in all 8 variants under the new Vaseline Intensive Care range and Vaseline Healthy White range. All the whitening variants come with extra benefits to suit individual skin needs. Product launched group photo with the VIPs. Please don't be lazy to take care of our skin, everyday we are exposure to environmental factors. We can help ourselves by applying the daily lotion, the new Vaseline lotion range of products with micro droplets of Vaseline Jelly is non-sticky formula that can do wonders for the skin. It deeply moisturizes to restore dry skin, helps accelerate skin renewal and supports skin lightening by clearing out damaged skin from deep within. Many daily lotion provides immediate hydration and relief to dry skin symptoms, but do not address the skin's underlying problems. Truly healthy-looking skin without dryness can only be achieved from restoring damaged skin from within and it starts with Vaseline Jelly which helps women fight dry skin by locking in moisture. 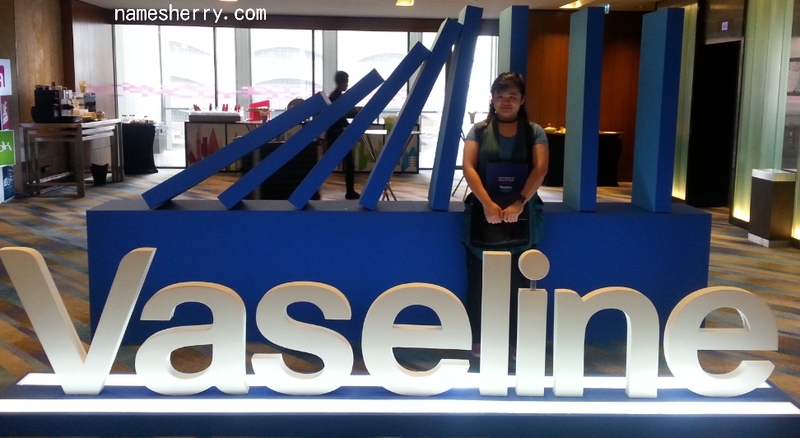 Event was held at Aloft Hotel, Kuala Lumpur. Vaseline is like one of the holy grail brand that I could not live with without. Super love especially for cracked lips! Interesting products, so many beauty products in the market all claiming to be the best in the same category. For a man, sure is confusing. LOL. I'm also using Vaseline. However, I cannot see any difference in the "whiter, fairer" range of products. I'm still just as dark. With the current weather, it is handy to have all these lotions around. 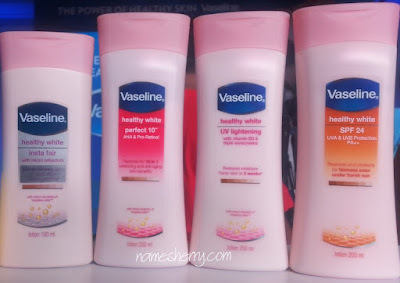 I like vaseline petroleum jelly i think their body lotion also not too bad. good to see vaseline going into other product ranges. Have always trusted the brand. Is it truly non-sticky? What about oily? i always use this brand when i was younger, it's a very good lotion really.